“She’s the first transgender woman I hugged in my life,” Sgt. Ray Kelly said. If you pay close enough attention, there’s a woman with dark brown hair and hoop earrings whose head was cocked to the left behind a podium while she was listening to sheriff, police and fire authorities give the latest on Oakland’s deadly warehouse fire. 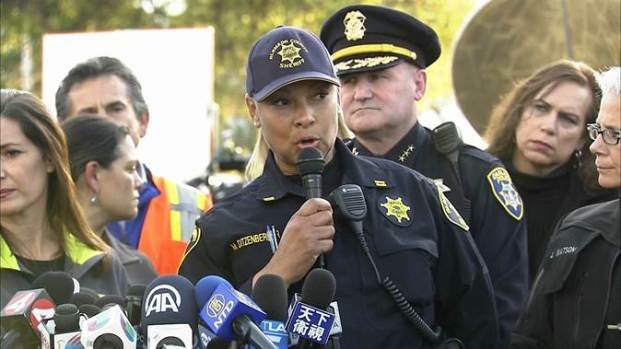 Tiffany Woods, 53, of San Leandro was steps away from Oakland’s mayor, fire chief and a host of other leaders who were announcing the latest grim updates on a fire that ripped through a warehouse on 31st Avenue on Friday night, killing 36 people, including three transgender women. The self-described “trans lesbian mother of three,” was invited by Oakland Police spokeswoman Johnna Watson and Alameda County Sheriff’s Sgt. Ray Kelly to navigate the tricky waters of naming the trio of people who died in the fire who were born with one name, and died with another. Behind the scenes, Woods has been advising the coroner’s office on how to sensitively release the names of the transgender women in death, after they perished in a blaze Friday night during an electronic dance party of artists and musicians at a warehouse nicknamed the "Ghost Ship." Woods even gets tagged on Twitter by the sheriff’s office to let her know that authorities have done what she’s recommended – to release a person’s legal name on the death certificate, but tell the public that the victims’ preferred their chosen name. At the same time, she’s also dealing with some members of angry trans community who are upset with her for working with police in the first place and are also mad at reporters, including ones at NBC Bay Area, who state the birth names of the three who had transitioned from their male identities to female ones. The three transgender women who died in the fire are: Cash Askew, 22; Em Bohka, 33 and Riley Fritz, aka Feral Pines, 29. 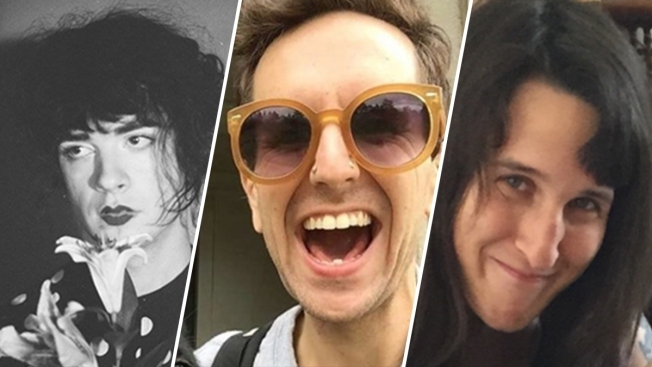 In the trans community, naming a person by their birth name, and not by the name they chose, is called “dead naming,” activists explained. Women who transitioned into men, and vice versa, don't want to reminded of their old life and their old names. And for the sheriff’s part, Kelly said the department is thrilled to have Woods’ expertise. This is the first time he has had to deal with naming people who identify as transgender, and he said having the right language and nuance is key. “When you have a tragedy like this, what’s important to the family becomes important to you,” Kelly said, noting that members of the sheriff’s office are also part of the larger LGBTQ community. On a personal level, Kelly said he just thinks Woods is remarkable. “She’s the first transgender woman I hugged in my life,” he said. 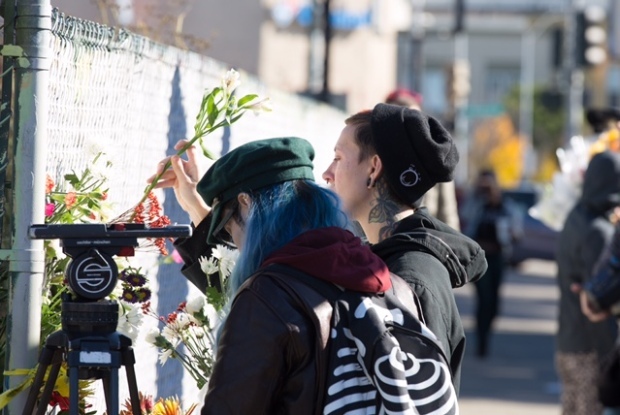 Law enforcement and society in general have come a long way, since Woods first became an official liaison to the Oakland police department after Brandy Martell, a transgender woman who had worked for Woods was shot and killed in downtown. Woods was also called in to assist police after Sasha Fleischman, a 17-year-old agender teen who had their skirt lit on fire by a 16-year-old boy on an AC transit bus in Oakland in 2014. 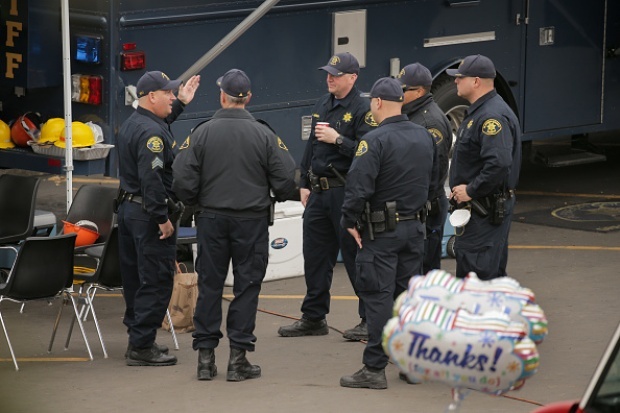 “It took a month for them to call me after Brandy, and three hours after Sasha,” Woods recalled, noting that police have been very quick to embrace the LGBTQ sensitivity trainings that then-Oakland Mayor Jean Quan ordered during her tenure. She has the experience to do so. For the last 14 years, Woods has run TransVision in Fremont, the only health and resource center for transgender and transsexual women in Alameda County and is funded by the county's Office of AIDS. Woods, who lives with her wife and three kids, co-founded the program in response to the death of Gwen Araujo, a 17-year-old transgender woman who was beaten and strangled to death by four men in Newark on October 3, 2002. The Oakland warehouse fire is the first time that Woods has worked directly with the sheriff’s office. And she feels it’s a great opportunity to be able to educate another law enforcement agency as well as the public about issues that are dear to the trans community. She was invited to the news conference on Sunday to let the police handle the nuts-and-bolts part of the investigation and let her handle the media asking questions about what being transgender means. She said she’s been treated with kindness and respect. And she thinks that can do a world of good for future relationships and interactions between transgender people and the public.